Hold the Great Wall of China in Your Hands! Even in its earliest stages, the wall was planned to be built not just to stem the tide against immigration, but to help regulate trade and to provide a safeguard against raids and invasions. No, we’re not talking about the plans to build a border wall between the United States and Mexico, it’s the Great Wall of China, hailed today as one of the greatest architectural achievements in human history. To truly pay tribute to such a massive undertaking one would need a really massive commemorative – and this is it! 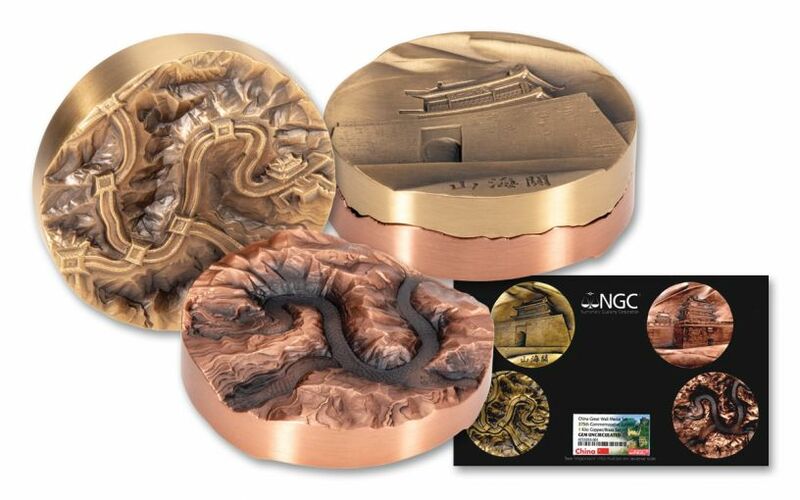 Struck to commemorate the 375th anniversary of the Great Wall of China’s completion in 1644, this two-piece set brings together two colossal medallions – one copper and one brass – to create an eye-popping piece of numismatic art that’s sure to be the center of attention wherever it’s displayed. Measuring a whopping 80 mm in diameter and weighing in at 1,030 grams when combined – more than 2.25 pounds! – the set’s two interlocking medals create a king-sized piece that’s more than an inch thick! But that’s just the start! 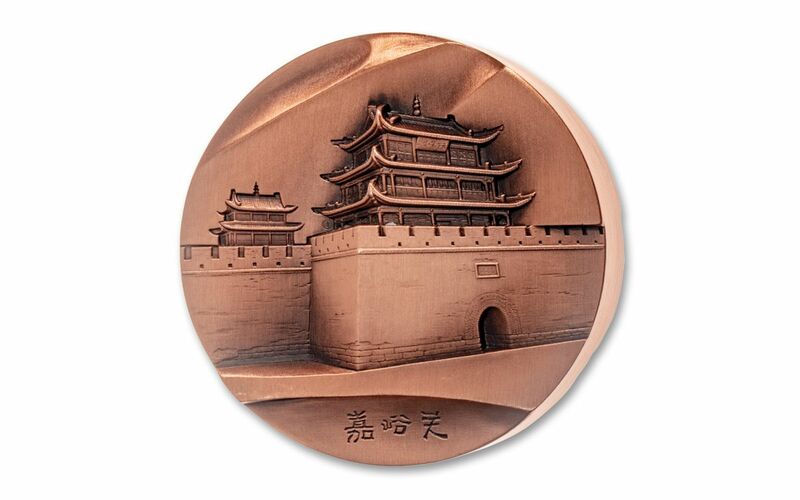 When separated, one medal features the raised section of China’s Great Wall built between two passes – the famous Shanhai Pass and Jiayu Pass, one of the most treacherous sections in the entire length of the wall. 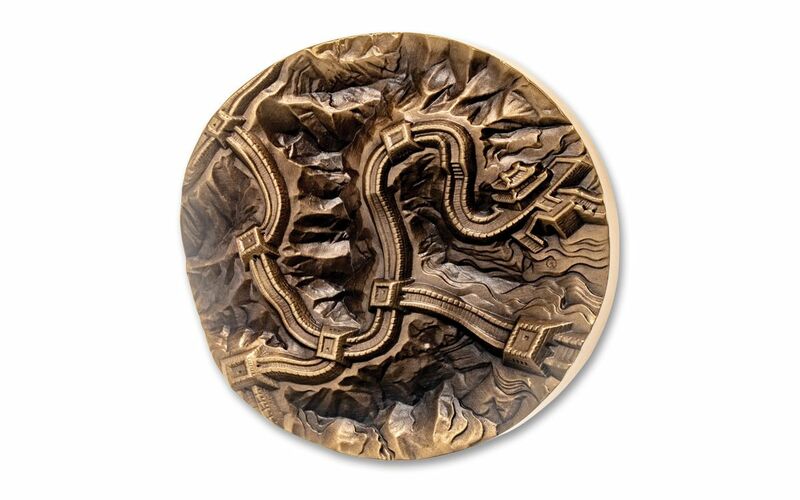 The second medal features a similarly mountainous topography, but with the shape of the wall indented to give additional detail that takes the form of a winding dragon emulating the Yellow River. The ultra-high relied detail is simply extraordinary! 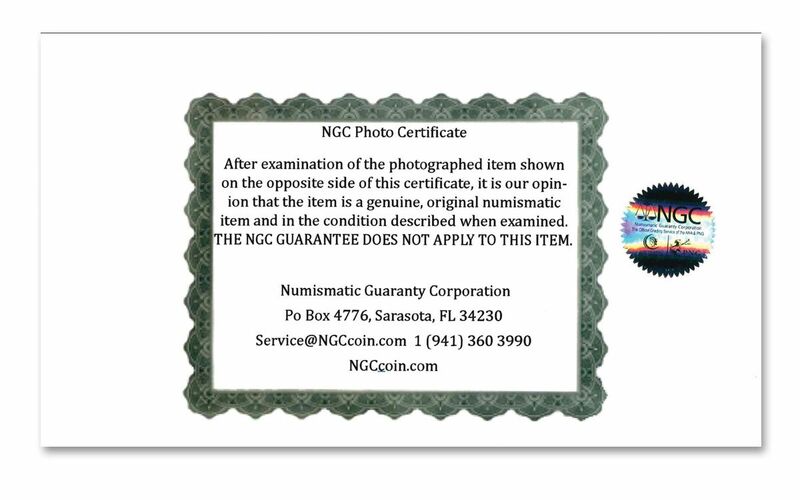 In fact, each medal will come in Gem Uncirculated condition, meaning that they are the products of superb strikes that place them firmly among the elite of the run. But here’s the catch: These medallions were originally intended only for Chinese collectors and were never meant to be made available for foreign markets. Kept relatively secret, you’d have had to have all the guile and stealth of one of the scouts from the army of Genghis Khan to have even heard about this release much less secure one for your collection! But now, for the first time ever, its available in the United States in what is likely to become a highly coveted collectible both now and for years to come! With just 999 of these Copper/Brass Great Wall Anniversary Two-Piece sets available for worldwide release you’ll need to act fast before this stunning release is gone for good. Don’t delay, click one to your cart right now! INCREDIBLE 375TH ANNIVERSARY OF CHINA’S GREAT WALL – The Great Wall of China, constructed over centuries, was finally completed by the Ming Dynasty in 1644. 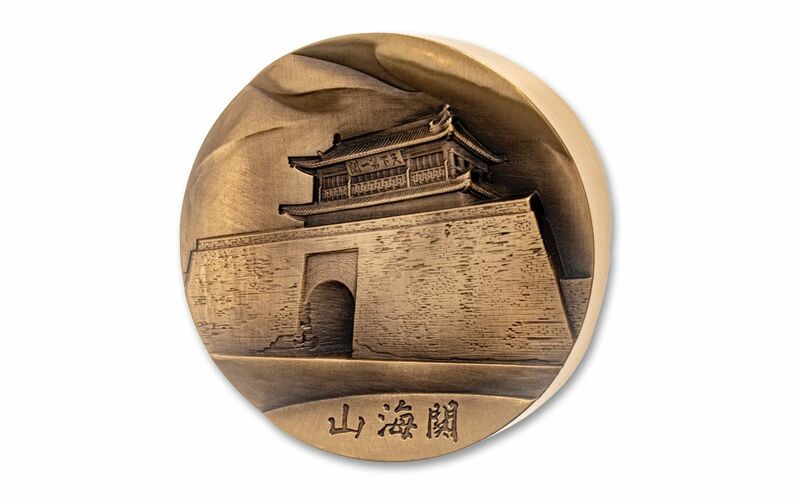 This two-piece medallion set was released to commemorate the 375th anniversary of this accomplishment and features a section of the wall between the Shanhai and Jiayu Passes on one medal and a winding dragon emulating the Yellow River on the other. INTERLOCKING DESIGN – The ultra-high relief designs pf the two medals are designed so that they can rest together, interlocking the medals. 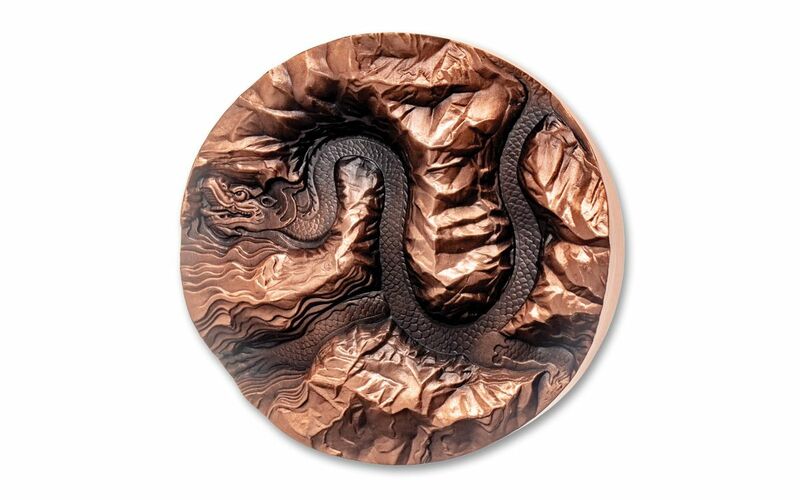 STRUCK IN COPPER AND BRASS – Each medal is 80 mm in diameter. Combined, the set contains more than 1,000 grams of copper and brass. FIRST-EVER U.S. AVAILABILITY – This set was originally intended only for Chinese collectors and was never meant to be made available for foreign markets. 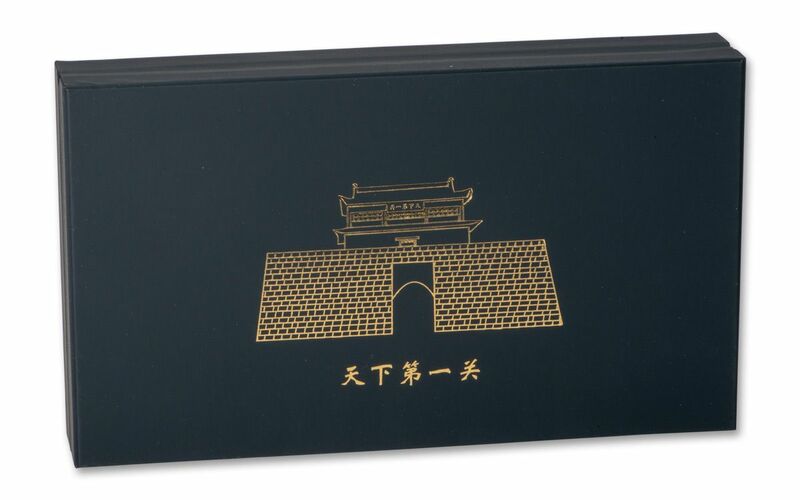 GEM UNCIRCULATED CONDITION – Your 2019 China Great Wall Anniversary Copper/Brass Two-Piece Set will come in Gem Uncirculated condition, meaning that each medal is the product of a superb strike that places it firmly among the elite of the run. 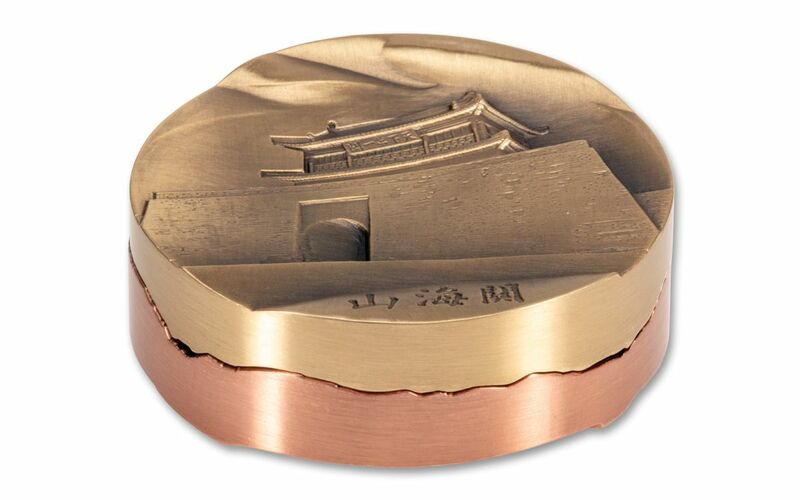 EXTREMELY LIMITED MINTAGE – Only 999 of these 2019 China Great Wall Anniversary Copper/Brass Two-Piece Sets have been authorized for worldwide release. 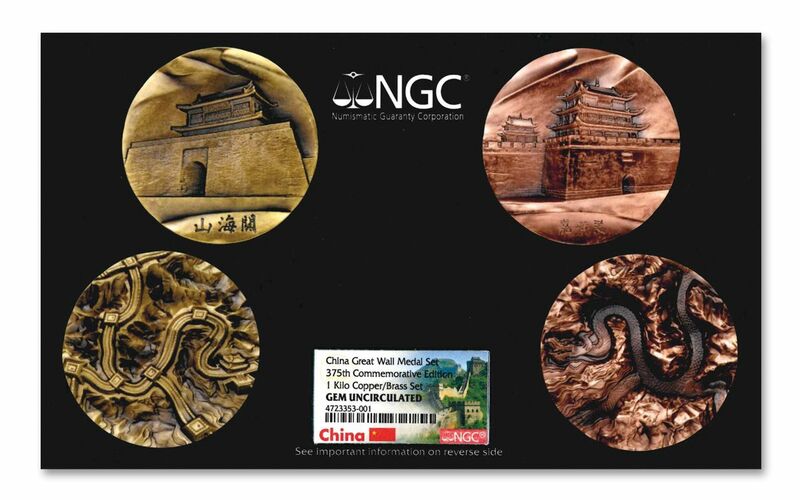 Don’t miss your chance to hold a piece of the Great Wall of China in your hands – secure one of these 2019 China Great Wall Anniversary Copper/Brass Two-Piece Sets now while they’re still available!